The Bishop’s Gaiters women’s basketball team has fallen on hard times as they haven’t won a league game since the 2011-12 season. They were already shorthanded coming into their contest against the Concordia Stingers on Saturday afternoon, fielding only eight available players. While the Gaiters did their best to remain competitive with Concordia—they held the Stingers leading scorer, Richelle Gregoire, to four points and six turnovers—they weren’t as good at covering Concordia’s newest three-point specialist. “They weren’t guarding me,” said guard Marie-Eve Martin, who scored 23 points, eight rebounds, one steal, and a block, in a 69-34 victory over the Bishop’s Gaiters at the Concordia Gymnasium. It was the Concordia Stingers’ first league victory of the season after losing their first three games. As the Stingers now have a record of 1-3, the Gaiters fell to 0-4 on the season. Gaiters head coach Alexandre Perno expressed frustration at his team’s circumstances post-game. Bishop’s was without the services of third-year players Edith Noblecilla and Mara Marchizotti. 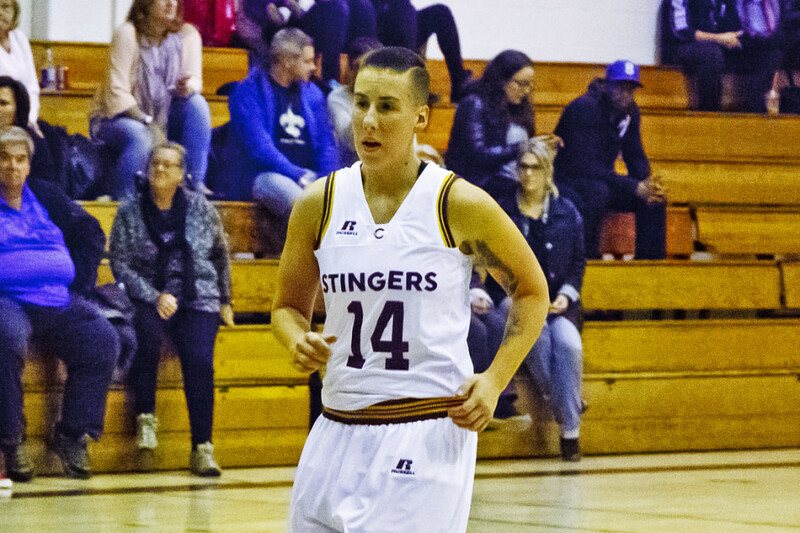 The Gaiters only led for under two minutes—they scored the first point of the game off a free throw—before the Stingers exploded to score the next 12 points. Later in the first half, the Stingers held a 25-9 lead. Martin had 13 of her team’s 25 points up until then, four more than the entire Gaiters team. Both teams won’t play until the new year. The Stingers’ first opponent in 2016 will be the Laval Rouge et Or on Jan. 7, while the Gaiters will play the UQAM Citadins.